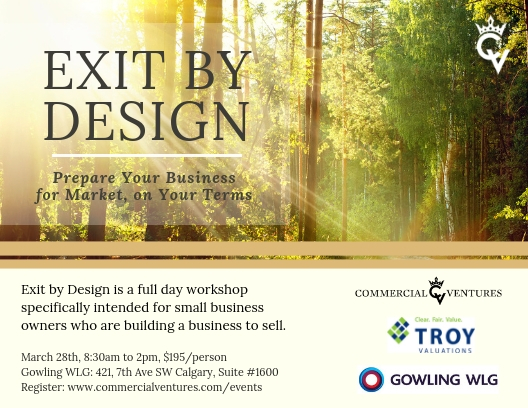 Exit by Design is a 1 day workshop specifically intended for small business owners who wish to exit their business within the next 5 years. “The Ask: How Much is a Small Business Worth?” by Liisa Atva, CPA,CBV, a recently published book for easily explaining valuation methods. Business owners who are 1-5 years away from wanting to have their business sold.